This Christmas season, countdown the days in style with our classic shimmer cardstock advent calendar kit — pre-cut and oh-so easy to assemble! 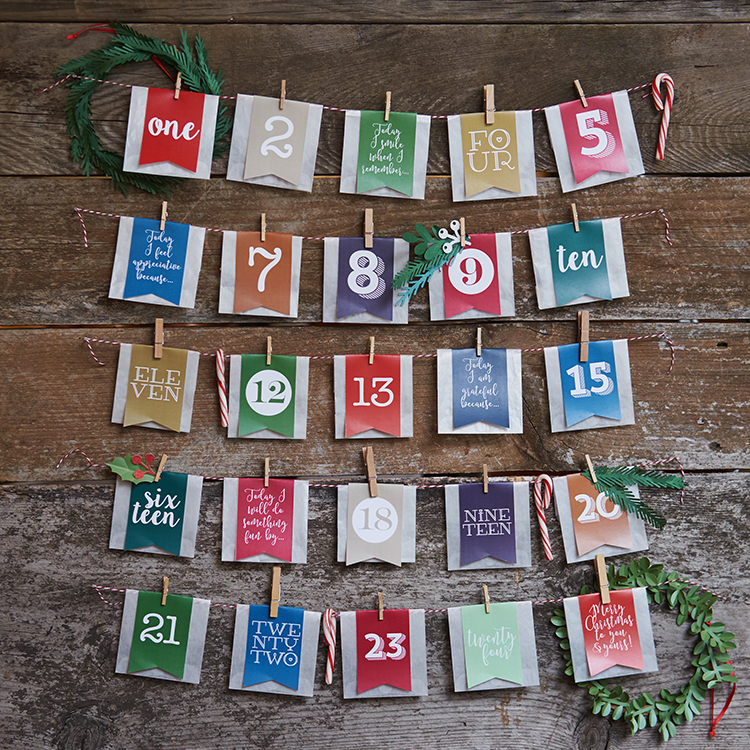 This kit includes pre-cut cardstock for each of the days until Christmas and twenty-five glassine bags to hold a daily treat or gift. Simply assemble and hang on red bakers twine for a fun-filled holiday season to come. A clever seasonal craft piece that’s fun for the whole family! Head on over to our online shop and order yours today for just $9.99. Hurry — supplies are limited! Fall down the crafting rabbit hole with our holiday DIYs today! Browse all of our projects here and join us on Instagram, Facebook and Twitter. To start crafting with us, sign up for your very own Lia Griffith membership for just $10 a month or $99 for the year.